As I walked into the Extraspace at Tarragon Theatre, the stage was adorned with a bed standing up vertically facing the audience, a clothesline holding various garments, and a small breakfast table ornamented with coffee cups and a newspaper. Jazz music from the 1930s played, giving the play a ragtime feel, and immediately Falling Awake was beginning before the stage lights went down. This is the first time the company RAGMOP has performed in Toronto and therefore the 2016 Toronto Fringe Festival, and it was a definitely a beneficial addition to the festival! 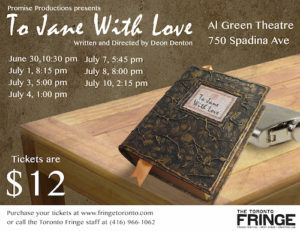 The premise of the piece To Jane With Love by Promise Productions at the 2016 Toronto Fringe Festival spent it’s time teetering on the fine line between being a real knockout or a cliche drama, and unfortunately the play delivered the latter. 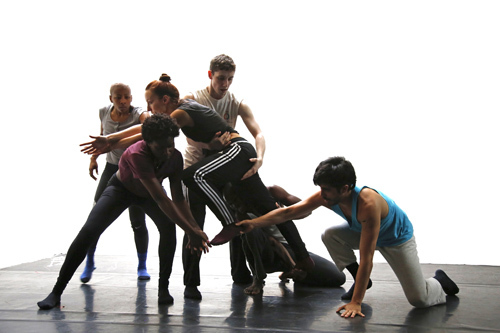 Playwright and director, Deon Denton, tackled an ambitious storyline in 51 minutes. The play deals with Henry (Geoff Mays), a recovering alcoholic struggling to come to terms with his past, who is confronted by his councillor along with his 10-year-old neighbour, to move on from his traumatic history. Postcard Theatre brings That Joyce Girl, a one woman show written and performed by Kate Cattell-Daniels, to the 2016 Toronto Fringe Festival at the Factory Theatre Mainspace. 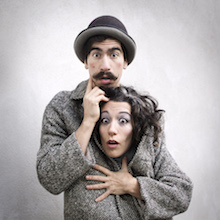 The play focuses on Lucia Joyce, daughter of literary master James Joyce, and her struggles with his increasing fame, her desire to dance and her lifelong battle with mental illness. The story of this woman is extremely dramatic and therefore perfect for the stage, but why did I come out of the theatre not feeling completely moved? The Annex Theatre is an intimate space. The weathered wooden theatrical house is one of Toronto’s oldest theatre establishments, built in 1888, which is rather fitting for a Shakespearean tale. 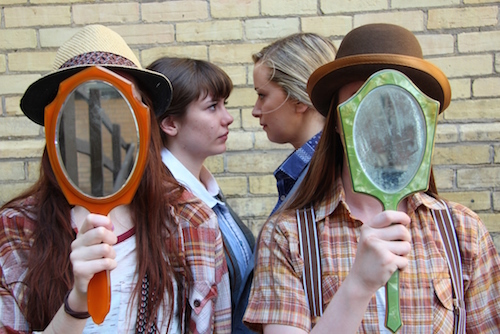 The Randolph Academy has given The Comedy of Errors, Shakespeare’s classic farce, a modern spin in their 2016 Toronto Fringe Festival production, A Glass Hive: aka the Comedy of Errors. 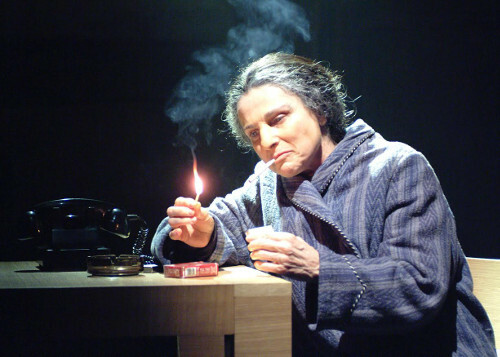 The The Harold Green Jewish Theatre Company is closing its 9th season with Golda’s Balcony, a harrowing one-woman show on Golda Meir starring four-time Tony nominee Tovah Feldshuh. The play was written by William Gibson and directed by Scott Schwartz and met with multiple sold out shows during its two week run.